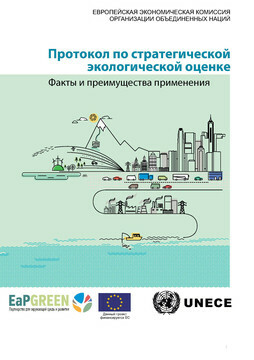 The brochure on Strategic Environmental Assessment Facts and Benefits is available in English, Russian and Ukrainian. The brochure introduces the SEA procedure as set out in the Protocol with reference to its provisions,1 and presents the benefits of SEA while rectifying misconceptions regarding this procedure. It also provides background information on the origins of SEA, and practical examples of the implementation of SEA. Finally, it presents steps to be undertaken by Governments that plan to accede to the Protocol. 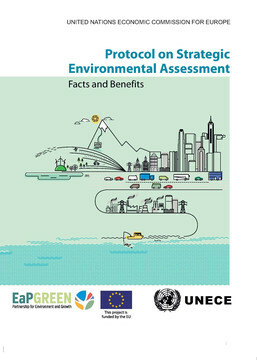 This brochure has been prepared by the United Nations Economic Commission for Europe (UNECE) secretariat of the Protocol on Strategic Environmental Assessment (Protocol on SEA) to the Convention on Environmental Impact Assessment in a Transboundary Context (Espoo Convention) with the support of consultants and with funding from the EU Programme “Greening Economies in the Eastern Neighbourhood” (EaP GREEN). It responds to a request from the Bureau under the treaties to produce material to promote the ratification and the implementation of the Protocol and to raise awareness of the Governments, the public and other stakeholders of the benefits of SEA. 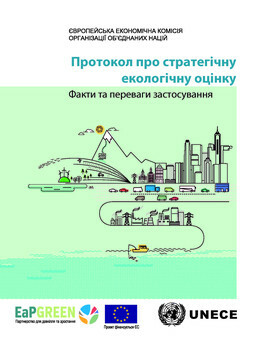 The brochure is intended to address the authorities, but also the public and other stakeholders, in countries that are in the process of establishing national SEA systems and/or promoting their systematic implementation. It assists countries in preparing for joining the Protocol on SEA.